The Environmental Program: The Last Noah’s Ark, was created in August 1995 by Antonio R. Silveira dos Santos, then judge, now retired, a lawyer and environmentalist, and presented to the scientific community, environmentalists and those interested in environmental issues in a lecture given at the 100th meeting of the Center for ornithological studies in the Amphitheatre of Zoology, University of São Paulo (São Paulo / Brazil). What makes it one of the first environmental programs in Brazil. It is a philanthropic program of environmental education, designed and developed by a person with the help of collaborators, brought about through publication of articles in newspapers, magazines and newsletters, lectures, interviews in the media, creation and participation in programs and socio-environmental projects. This is not an NGO. It is intended for students of various levels and interests, teachers, biologists, lawyers, judges, prosecutors, politicians, industrialists and so on. During these years, the environmental program has been quoted in numerous newspapers and magazines, and broadcast media and even in newsletters of organizations of recognized standing in the environmental area. Starmidia the contest site, was among the 10 best environmental sites in Brazil. Environmental Program participated in numerous environmental activities, creating projects and programs that greatly aided the communities involved. 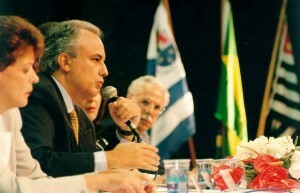 The author contributed to environmental protection and cultural neighborhoods in Sao Paulo. 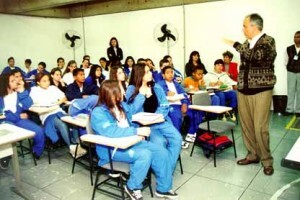 There were more than 150 lectures given by its founder, Antonio Silveira, in various localities, institutions, from elementary schools to graduate school, through universities. Were published over 400 articles of its creator, which resulted in more than 2,000 publications, including English, Spanish, Italian and Japanese. Some of these items were crucial for making environmental policy decisions. Others are contained in the annals of municipal councils in the collections of institutions, schools and universities. To further reach their environmental educational purposes, in May 1999 was created www.aultimaarcadenoe.com your site, and on March 6, 2000, also designed the address www.aultimaarcadenoe.com.br, passing the program to be released on two email addresses. With version in English. The site has already exceeded more than 10 million visits, getting to have more than 2,200,000 (two million two hundred thousand) page view/month. As website content has been cited and referenced in countless undergraduate courses, postgraduate studies in the areas of ecology, environmental law, ornithology, among others, as well as at various universities, and reference for many teachers at all levels of education in Brazil and abroad. For an account of the specific interests of its creator, which is the study of natural history, especially ornithology (study of birds), the Environment Programme, through its website, has played a very important industry which is the Birds / ornithology, where birds are given lists by location and interesting trivia on the subject. Develop this sector studies and articles intended to help implement in Brazil watching tourism as an alternative and less intrusive to the development of ecotourism. As a birdwatcher Antonio Silveira has done surveys of birds from various locations (see list by city-Birds), including logistical support from renowned hotels and resorts. Among the projects are the “Check-lists of birds by regions of Brazil,” and also for studies to publicize the birdwathing or birding (bird watching). The check-lists of birds are made with the aid of binoculars, cameras, video cameras and recorders, there is no way to collect, even attitudes that can affect the behavior of birds. In addition, the birding has been released by the creator of the environmental program through publications of articles in newspapers and magazines, and with advice (in the form of support, logistical) to implement this practice with projects for specific locations, resorts and hotels. 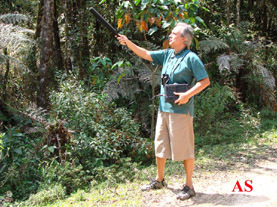 The Environmental Program also maintains, for inquiries and studies, a rich collection audio visual filed in several hard drives and hundreds of videos and CDs of nature sounds, produced by its creator Antonio Silveira, with the latest technologies in sound recording including digital images and materials that also serves to illustrate the lectures and give content to the site. For this hard work, philanthropy and more technical level improved, the Environmental Program: The Last Noah’s Ark has been recognized as an important tool for environmental education. To give you an idea of what is the environmental program and its website, made ​​this presentation in your language. If you’re interested in learning more about our content, visit the original Portuguese and in English, the latter containing about 30% of the original content.